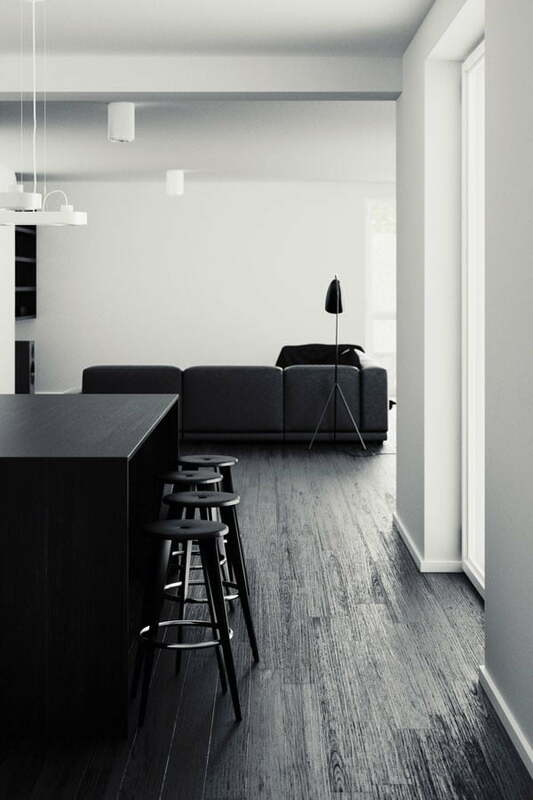 Looking for ideas of dark wood floors for your next home renovation? 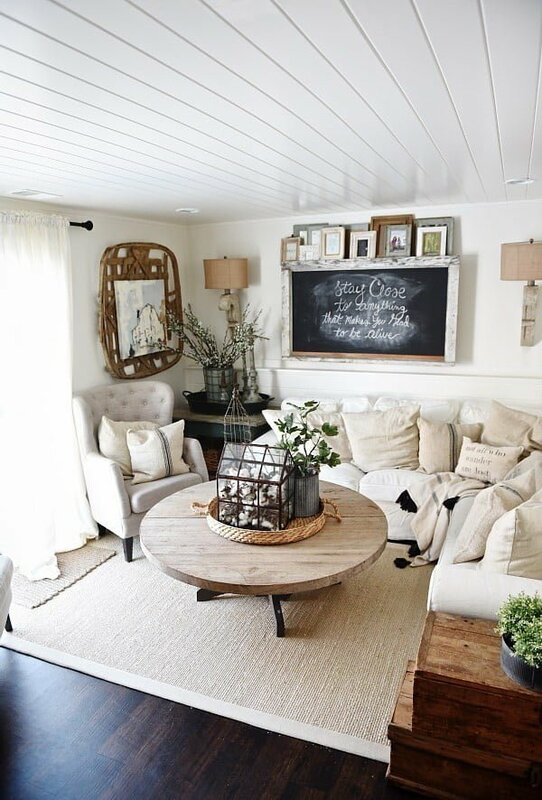 That’s a great choice, and here over 35 gorgeous ideas for your inspiration. 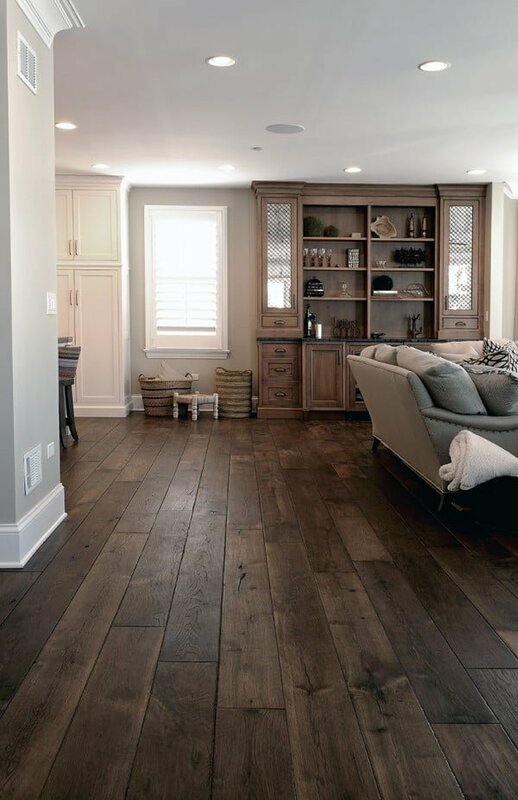 Natural wood is undoubtedly one of the most beautiful flooring materials available. 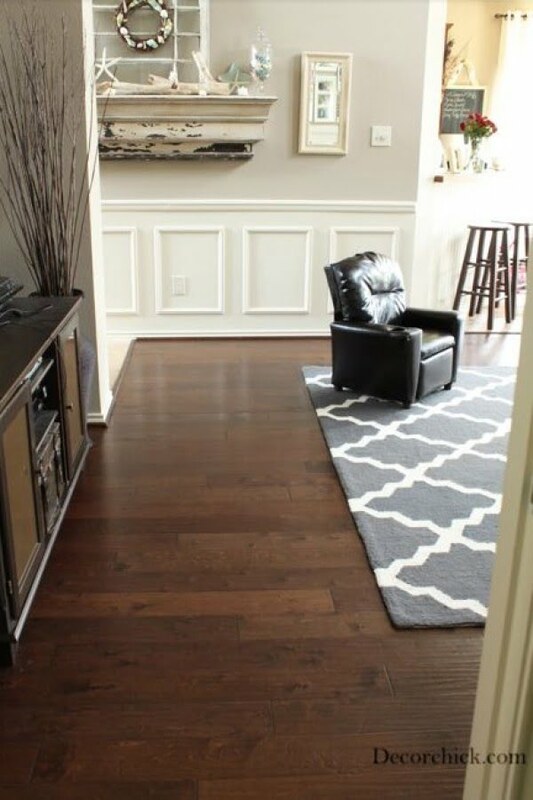 A durable, dark hardwood floor is not only practical, but aesthetically pleasing, particularly when combined with accessories, area rugs, and furnishings in appropriate colors. 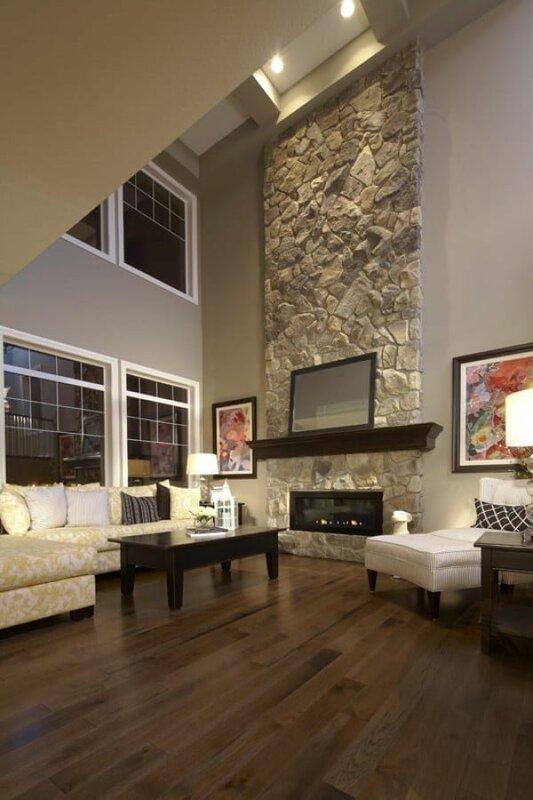 And while hardwood can be used in just about any room of the house, it reveals its beauty mostly in living rooms. 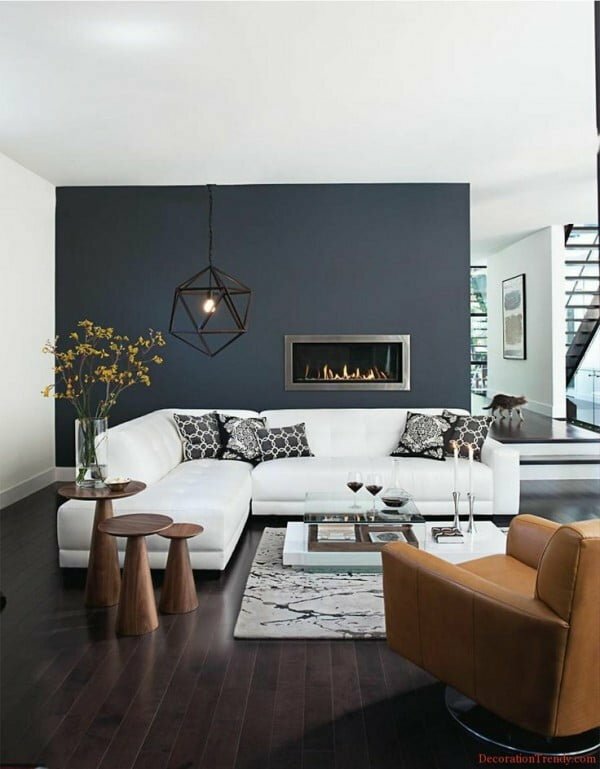 Indeed, as you will soon see, especially dark hardwood floors create such a wonderful contrast and they make a great setup for a gorgeous decor. 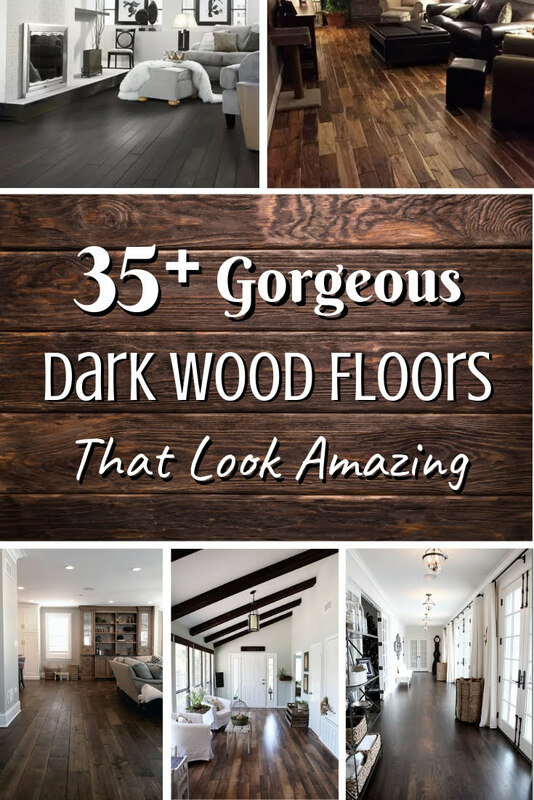 Check out over 35 truly stunning ideas with dark wood floors. 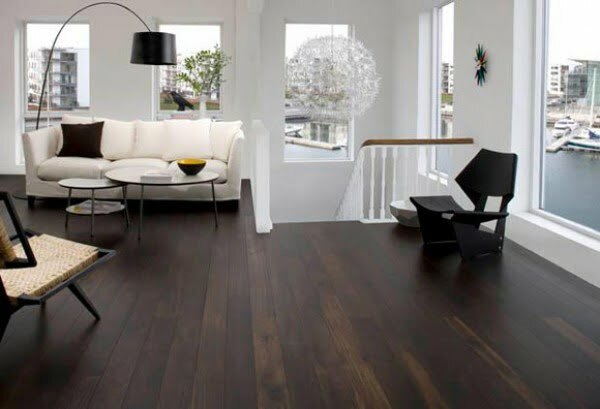 Why Dark Wood Floors are the Best Choice? How Much Should You Pay for Hardwood Flooring? 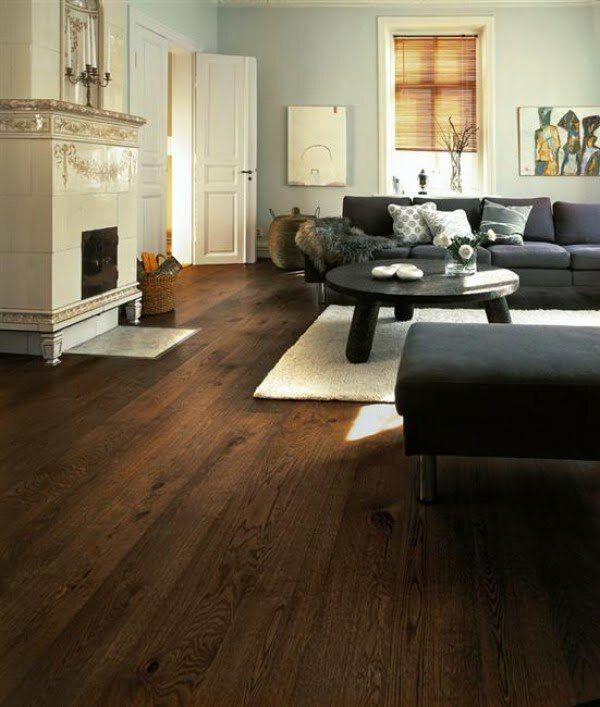 The phrase hardwood flooring refers to any product manufactured from timber to be used as flooring material. 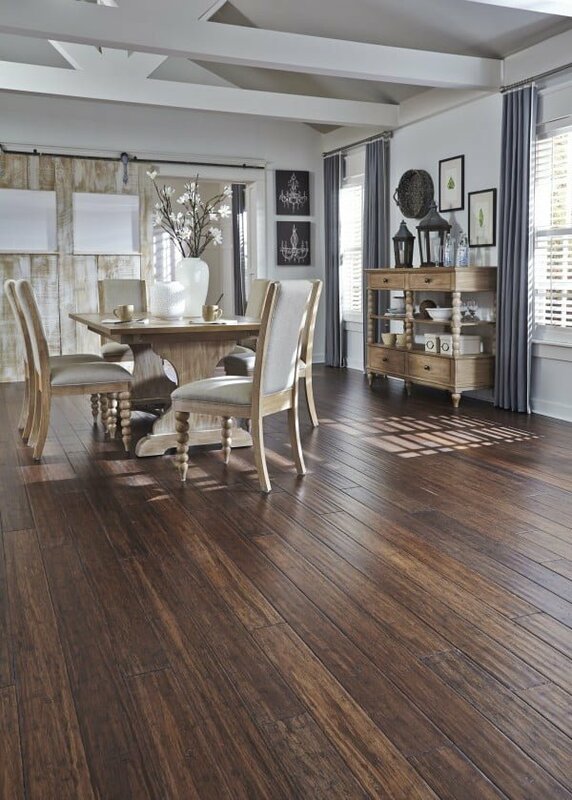 Wood is a popular choice for flooring because it comes in various cuts, colors, styles, and levels of hardness. 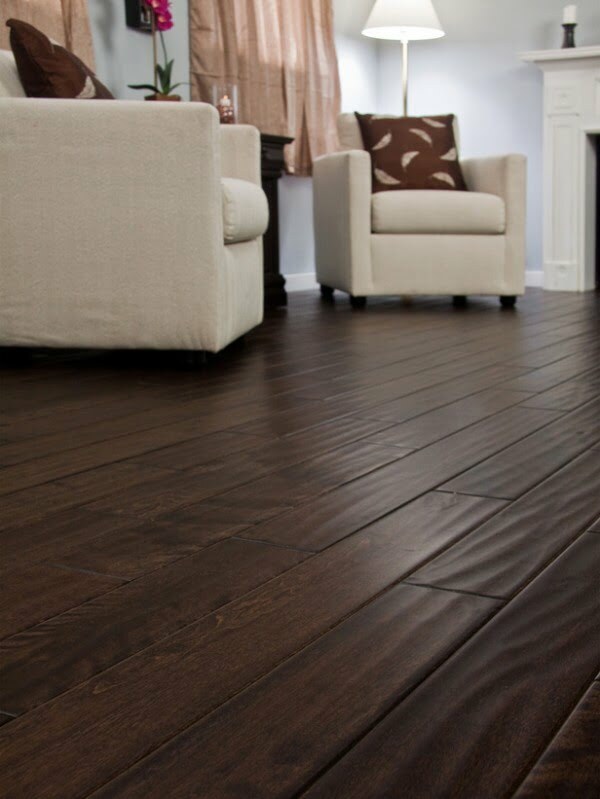 As its name implies, solid wood flooring is made from solid wood from top to bottom. However, there are various degrees of thickness available, which typically range from 3/4 of an inch to 5/16 of an inch. Engineered wood flooring is also made from genuine wood, but is manufactured with wood composite or multiple wood veneers. The veneers may be the same type of wood as the floor or may be made from another kind of wood. The primary feature of engineered wood is its grain, which runs in various directions. 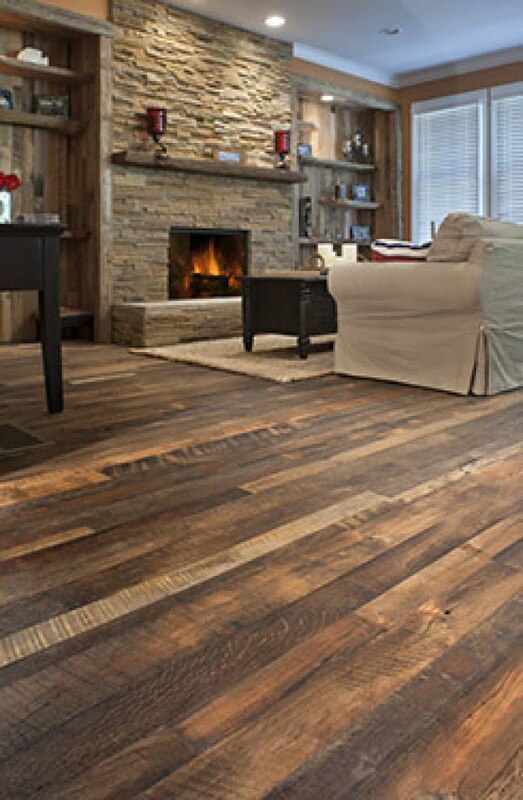 This adds to the floor’s stability, as the various grain directions help the floor resist the expansion and contraction that occurs when temperatures change. All wood floors must be properly finished to ensure longevity. If you choose an unfinished wood floor, the contractor typically stains the wood and then applies the finish. Many finish options are available, making it easy to find the perfect shade. 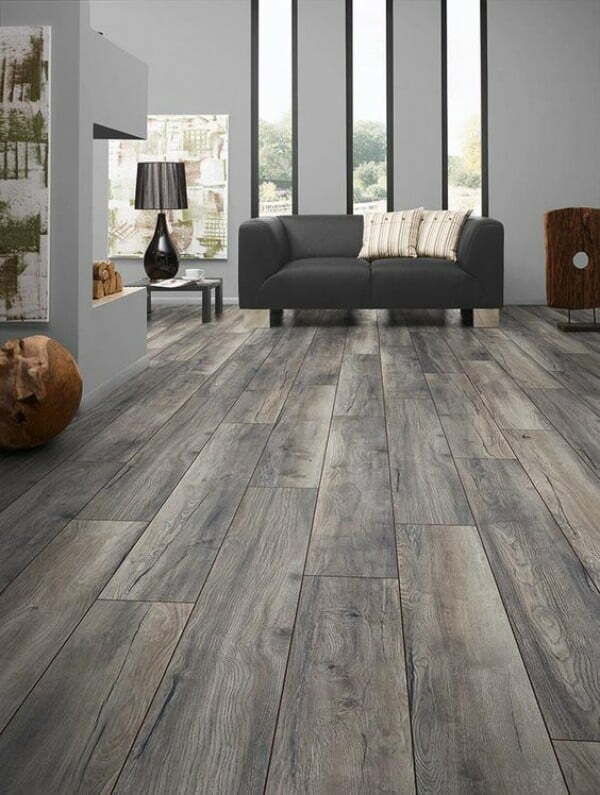 Factory finished wood floors are different from those mentioned above, as the manufacturer applies the finish, rather than the on-site contractor. Obviously, such floors require less installation time, as they have already been sanded and finished. However, keep in mind that you can use stain to change the color of any wood following the floor’s installation. 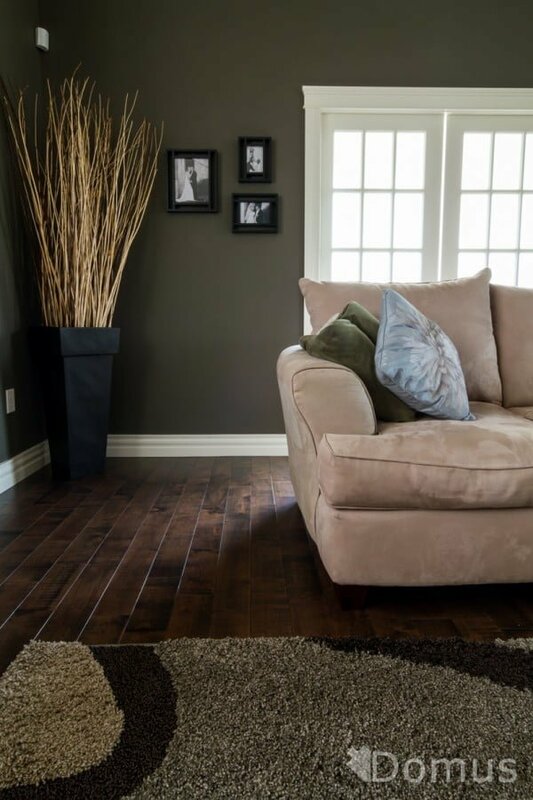 Regarded as one of the best choices for a living room, dark hardwood floors are renowned for their beauty, durability and natural appearance. 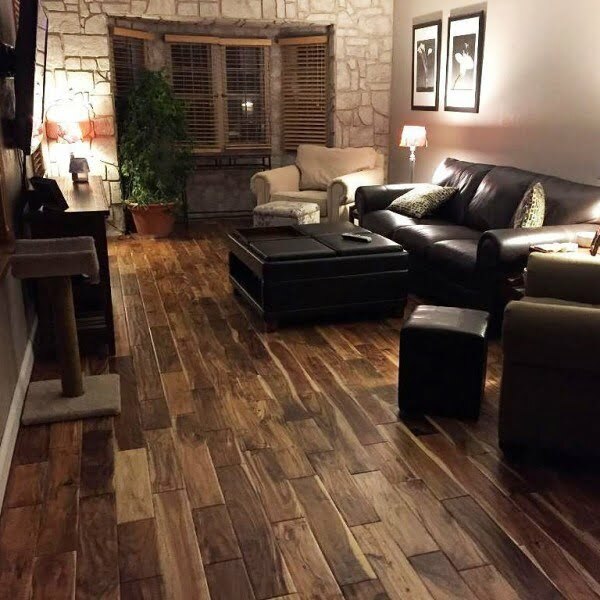 As you have probably noticed, the color assortment available for dark hardwood floors is quite expansive, making this option highly versatile. Durability is also a top benefit of hardwood floors. When properly maintained, such floors can last for several hundred years. 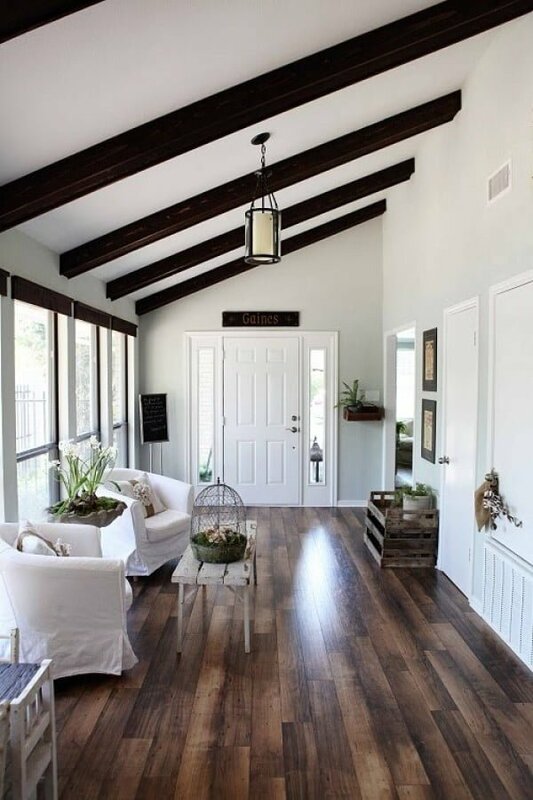 Homes with hardwood floors fetch higher prices on today’s real estate market than dwellings that do not feature such floors. If you ever plan to sell your home, installing hardwood floors is a great way to raise its value. 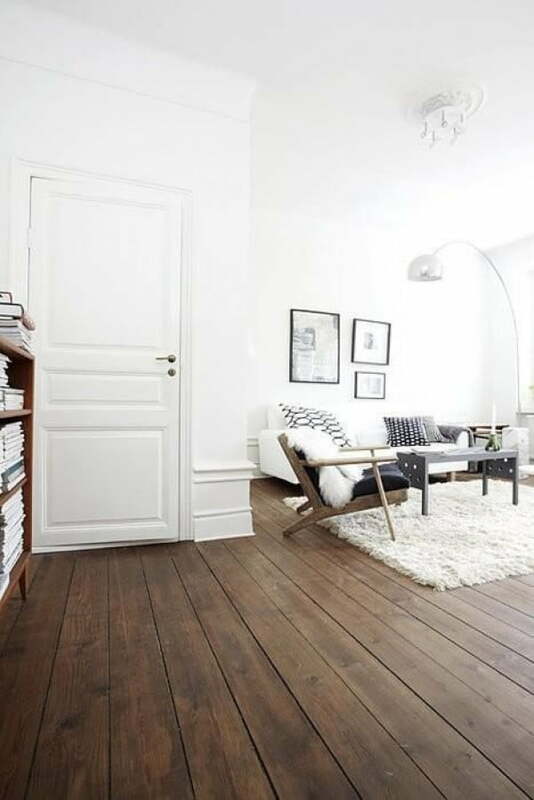 Hardwood floors have certainly stood the test of time. This is because they are easy to maintain and do not require expensive processes to keep them looking their best. 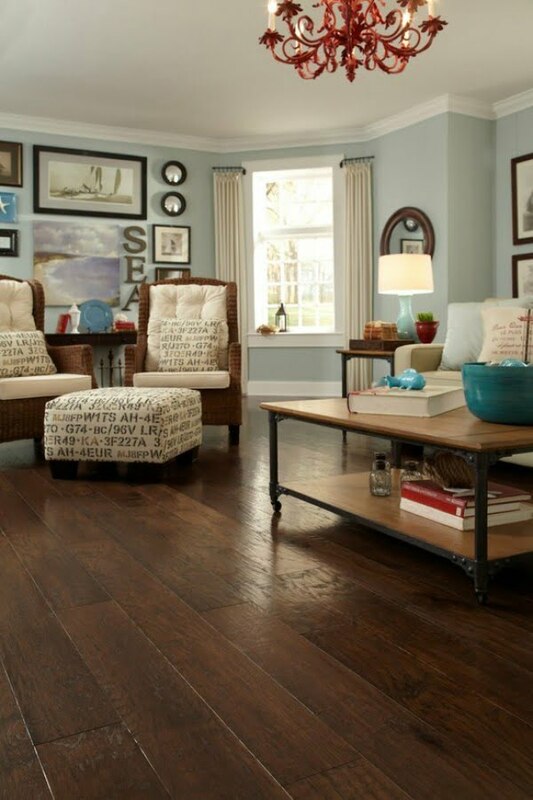 Hardwood floors work with virtually any décor. In addition, you can sand or stain the floor to suit your personal taste, and it can be changed whenever you desire. Hardwood flooring is somewhat noisy, particularly if the residents of your home frequently wear dress shoes. However, placing a rug in high traffic areas easily eliminates this problem. 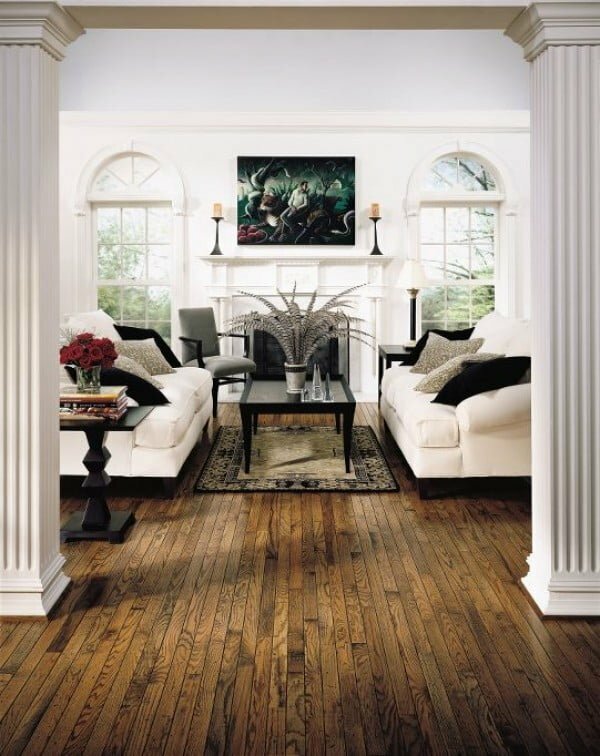 When hardwood floors are properly maintained, constant refinishing is not necessary. However, in high traffic areas such as living rooms, they are susceptible to scuffs and scratches, and occasionally require professional refinishing. Hardwood floors are somewhat expensive, ranging anywhere from $3-$13 per square foot. 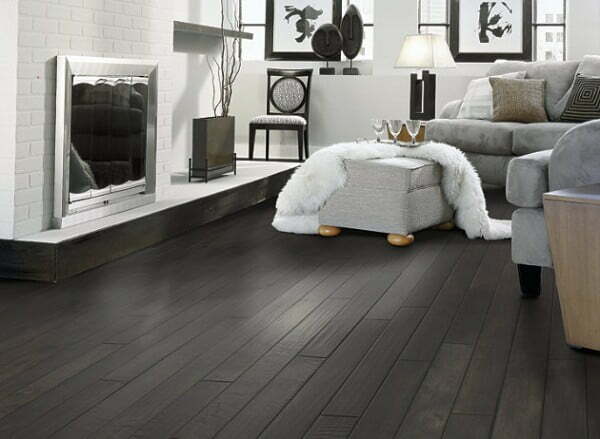 Dark wood tends to give your living room a more elegant and modern appearance than light wood. Dark woods tend to show the grain more clearly than their lighter counterparts. This leads to a more dramatic and beautiful look. 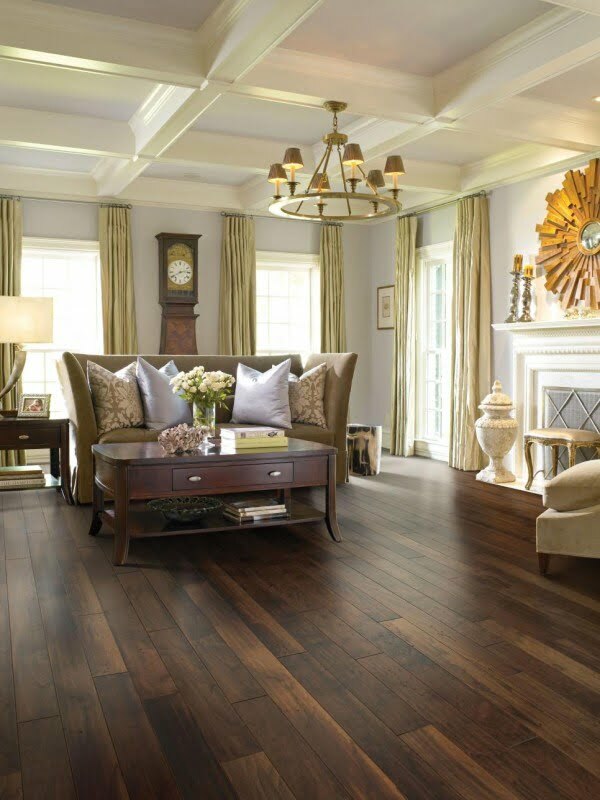 A dark hardwood floor can be complemented with various colors seen in your furniture, curtains and rugs. 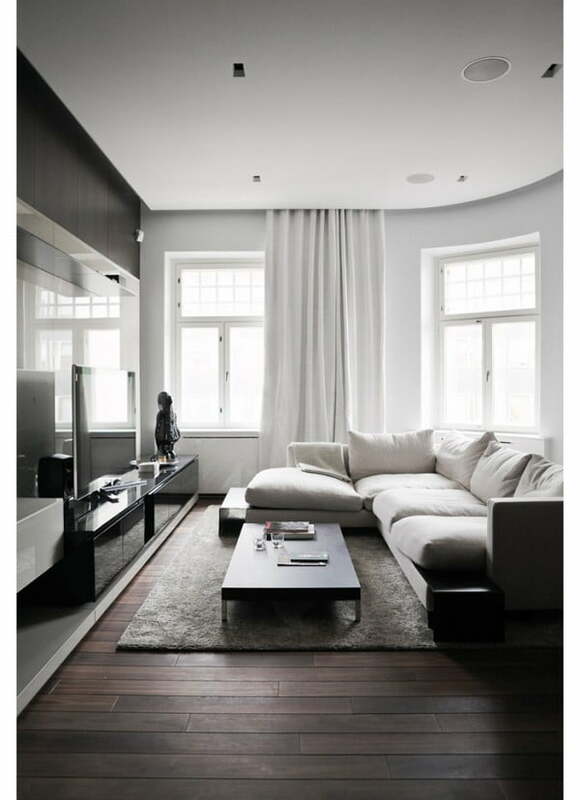 When contrasted with dark floors, light colors tend to “pop,” which creates a striking appearance for your living room. To ensure a harmonious appearance when selecting wood furniture, choose the type that matches your floor’s warmth but is a few shades lighter. 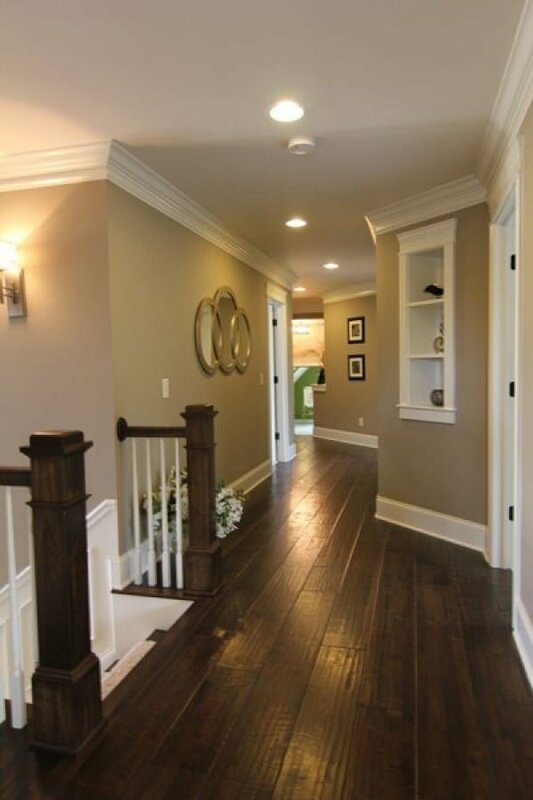 For example, deep brown or grayish black wood floors should be pair with light-toned woods, such as cherry or maple. You may also decide to simulate the colors seen in a natural forest. 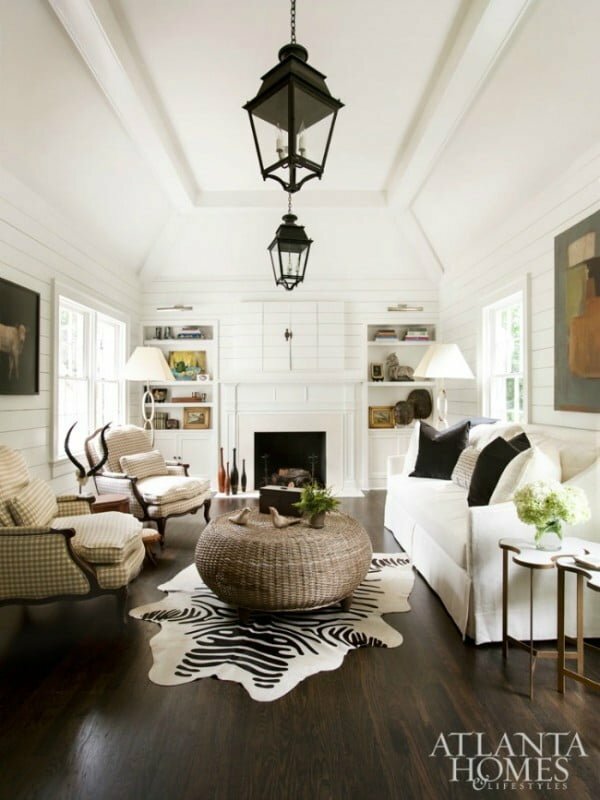 Try using a light-colored sofa and chair with a wood finish pendant light and dark wood coffee table. 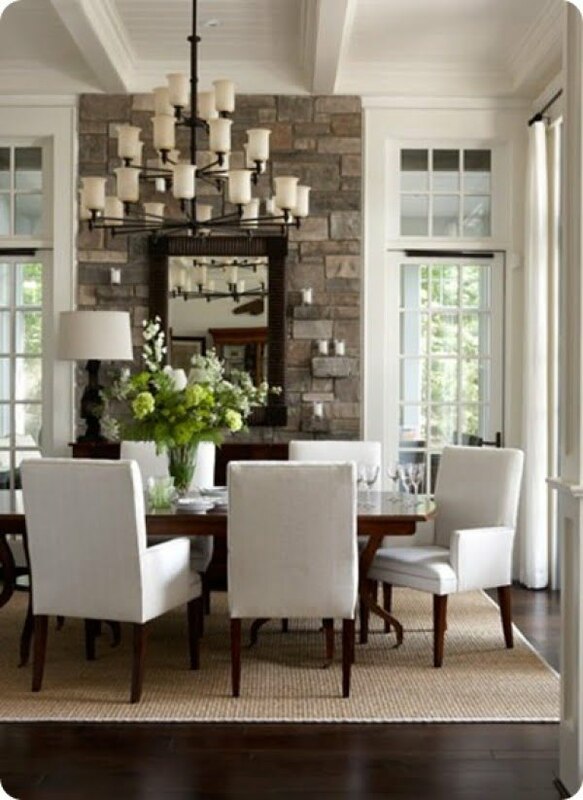 To complete the look, use a medium shade of green for your drapes and a delicate off-white for the walls. For a milder contrast, use layered textures and “muddied” hues that essentially blend into each other, yet simultaneously offer contrast. For example, choose furniture in shades of pale gray, sage, taupe and evergreen, which complement the dark floors without creating too much contrast. Simplicity often works best in the living room. 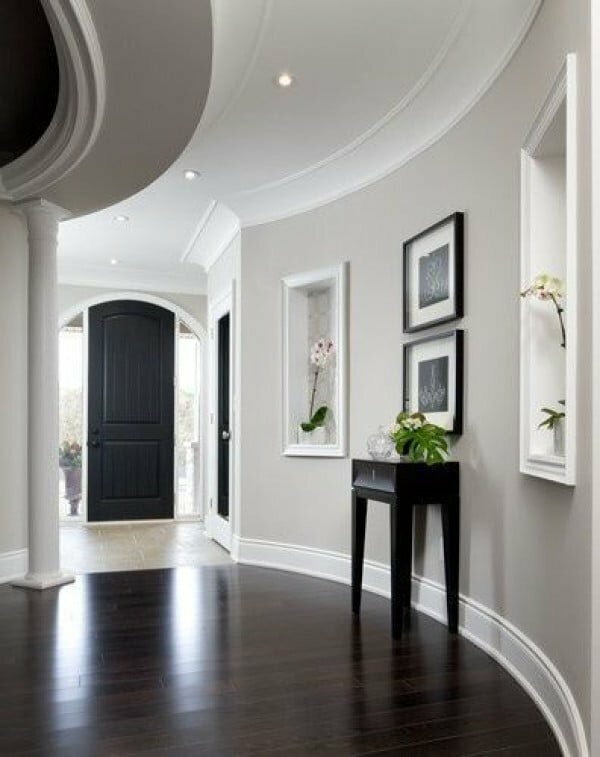 Therefore, if you want more attention for the hardwood floor than the rug, choose a light-colored carpet that features a whip stitch on its edge. Shaggy Moroccan rugs blend well with essentially any type of floor, but such rugs are particularly attractive when placed on dark floors. For a sumptuous look, pair your Moroccan rug with neutral furniture and warm, greige walls. Related: What to Do If Your Floor Tiles Always Look Dirty? 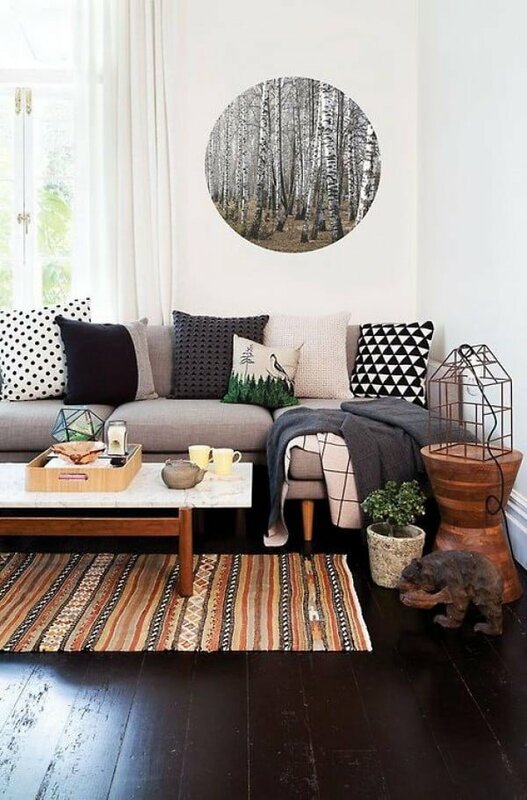 If your décor is somewhat artsy, try a brush-stroked rug. With its swirling colors and modern appearance, it will look terrific against the backdrop of dark wood. 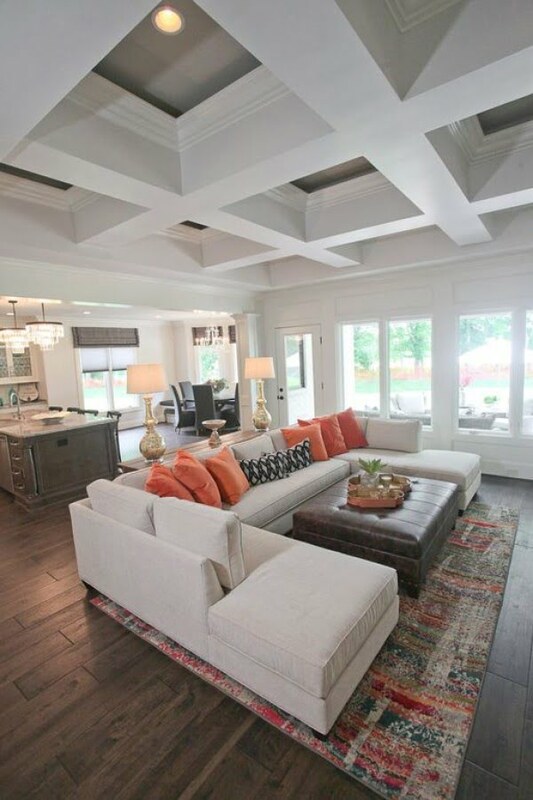 If your home is somewhat eclectic, try a Native American style rug or one featuring a rustic quilted pattern. 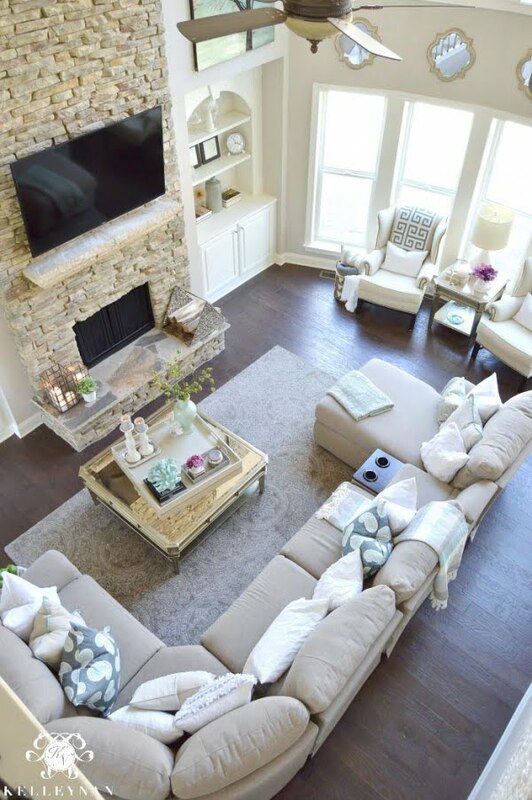 If comfort, rather than a perfect appearance, is your primary goal, select a chunky woven rug in a light color to create a soothing atmosphere. Finally, consider visiting the classic rug department in your local furniture outlet where you can select a traditional, lively pattern to contrast beautifully with your dark wooden floor. 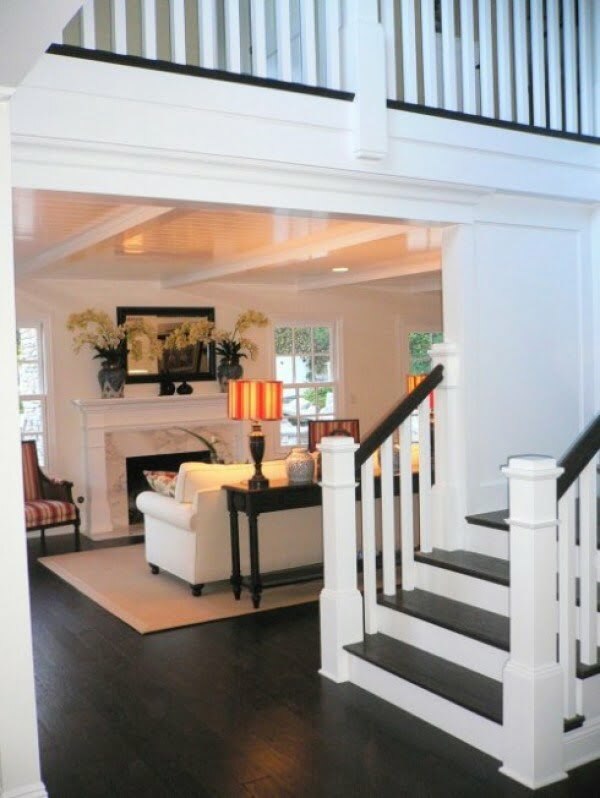 If you are like most homeowners, the cost is obviously a concern when you are installing a dark hardwood floor. Underestimating material cost is a common mistake. Below are tips to help you avoid unexpected surprises when installing your floor. Essentially all flooring materials are priced per square foot. Therefore, depending on your living room’s size, the total cost can add up quickly to a higher-than-anticipated amount. Fortunately, unpleasant surprises can be avoided by taking good measurements and agreeing on specific labor costs in advance. Additionally, all hardwoods are graded by quality, with fast-growing, softwoods being less expensive than slow-growing, hardwoods. Nevertheless, keep in mind that any wood can be stained to a darker shade after the installation. Finally, it is wise to outline your budget in advance and then search for flooring that best fits your price range. 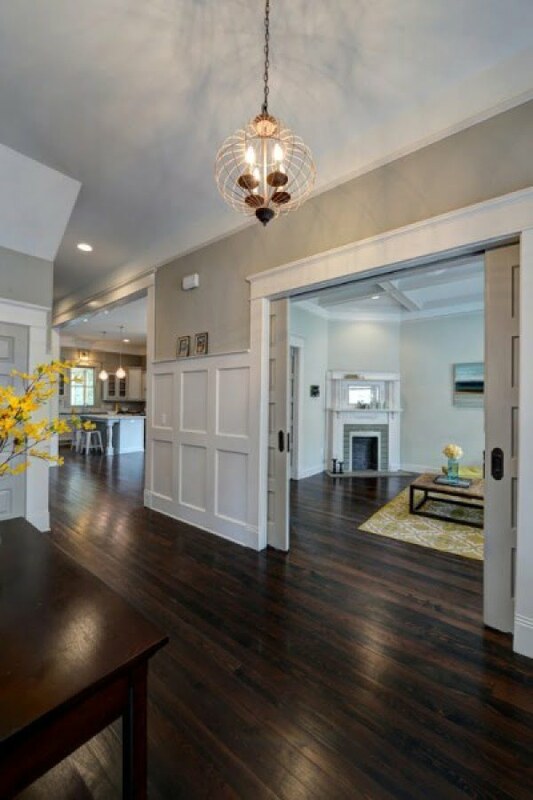 Many finishes, colors, and textures are available, and therefore finding a dark hardwood floor that best suits your preferences is not a difficult task. Ultimately, regardless of the specific style you choose, adding a beautiful, hardwood floor to your home is a worthwhile endeavor.